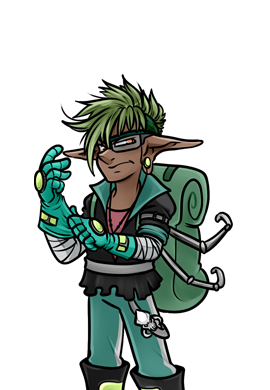 Trusty first appeared in The Silvermine Mountains. Trusty was imprisoned for massacring Porcs for insulting his height. 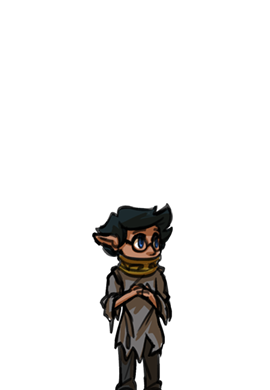 Trusty had a facade of being a very mysterious Keen, but shortly showed his real nature by being very timid and shy. Trusty was last seen being thrown over the gate of the prison by Kallark, in order to save him.